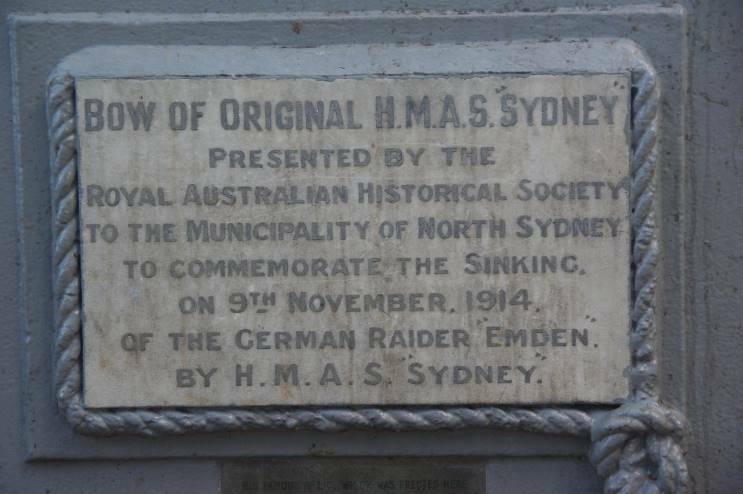 HMAS Sydney Memorial, Sydney, Australia. 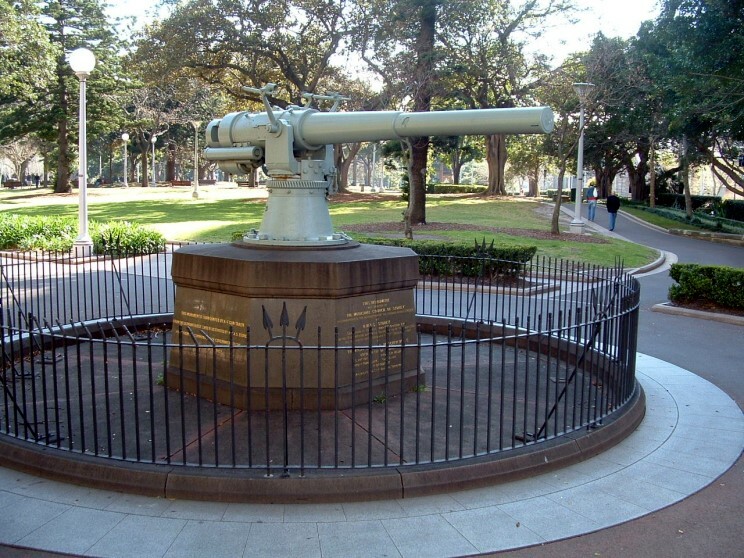 To commemorate the achievements of the HMAS Sydney, a memorial was erected at the southeastern corner of Hyde Park in the city of Sydney, comprising one of the 4.1 inch guns salvaged from the SMS Emden. This is mounted on a granite plinth. 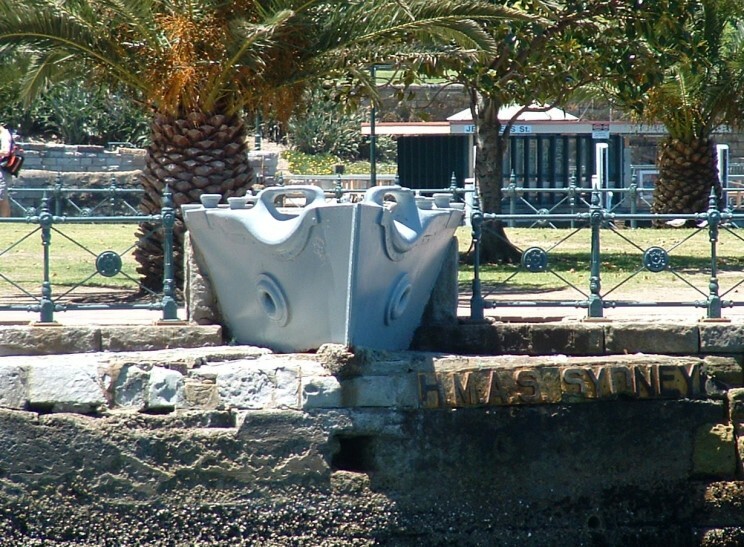 A section of the bow is also mounted in the seawall at Milsons Point, adjacent to the north pylon of the Sydney Harbour Bridge. 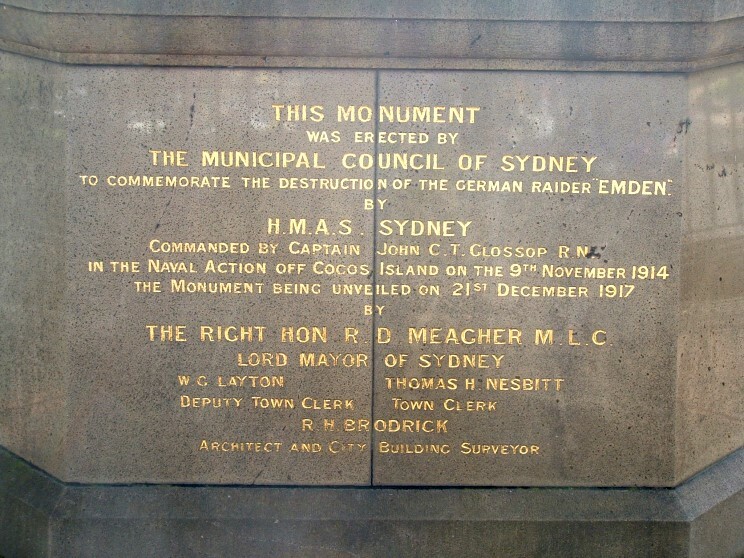 The ship's tripod mast, fitted during the 1917 refit, stands at Bradleys Head on the north shores of Sydney Harbour and flies the Australian White Ensign. 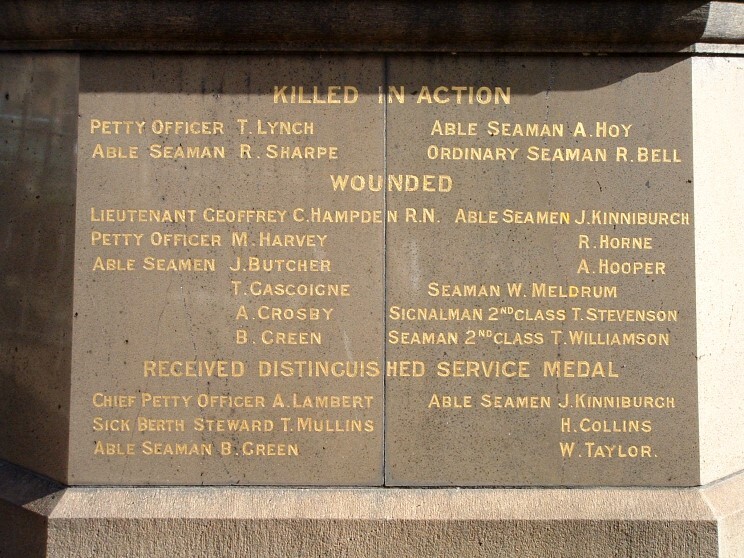 This HMAS Sydney Memorial Mast commemorates the sacrifice made by all sailors and of ships lost in conflict. All naval vessels entering Sydney Harbour conduct a general salute when passing the mast while moving up the Harbour. 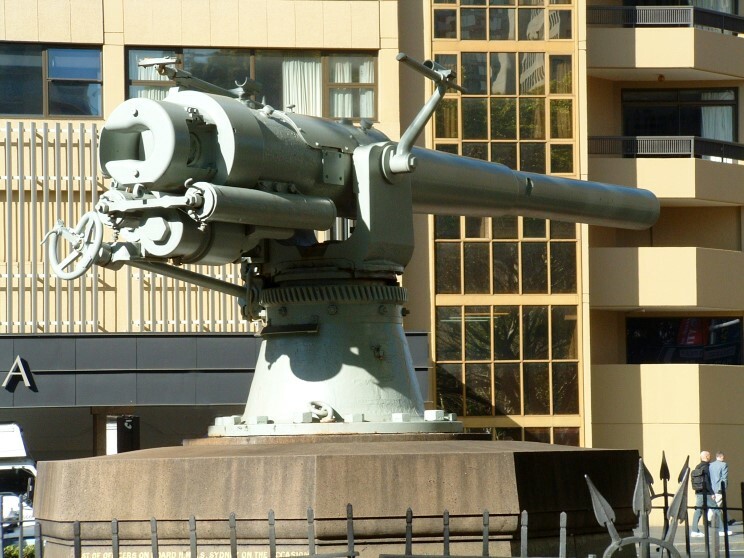 A view of the 4.1" gun from SMS Emden. A section of the bows of HMAS Sydney. The dedication section of the memorial. 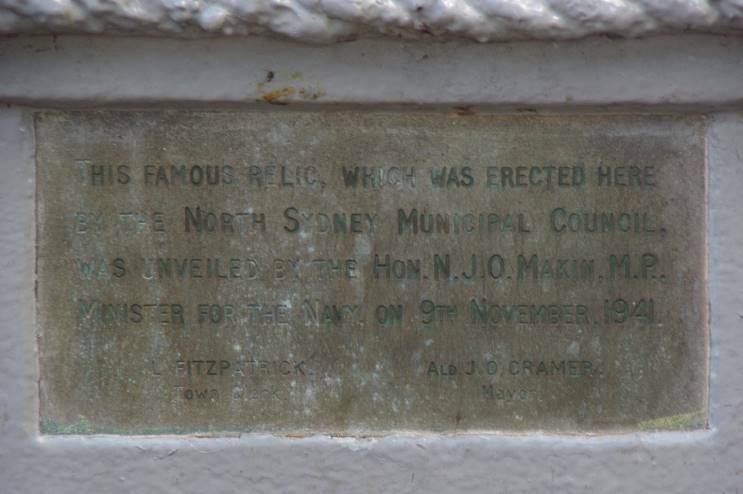 One of the plaques on the memorial. 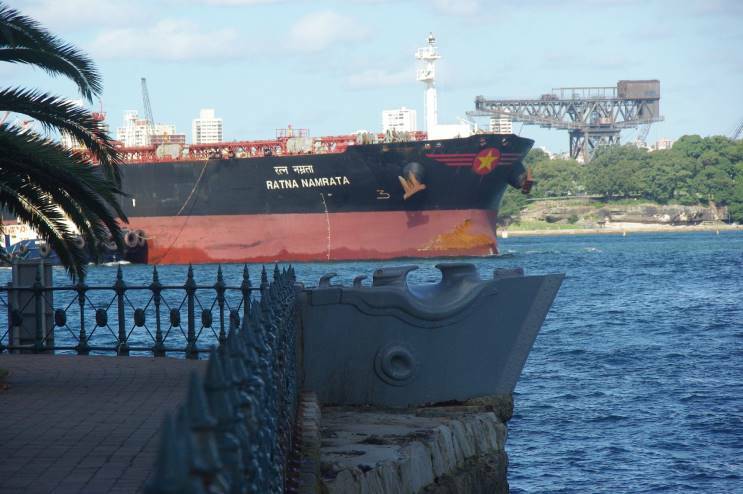 The bows of HMAS Sydney with the bows of the tanker Ratna Namrata seen in the background.